Nishihara Town will organize its annual festival on Oct. 24th and 25th. 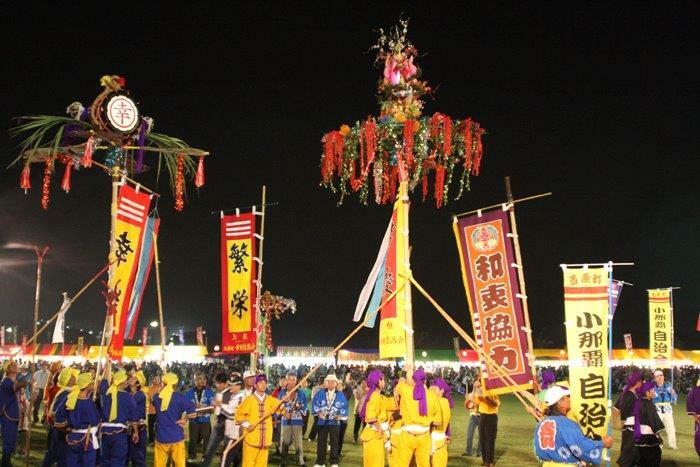 This year’s festival also celebrates the 600th anniversary of the birth of King Sho-en, the first king of the second Sho-dynasty of the Ryukyu Kingdom. A hatagashira (streamer pole) performance and historical picture scroll show will mark the event on Sunday starting at 18:25. 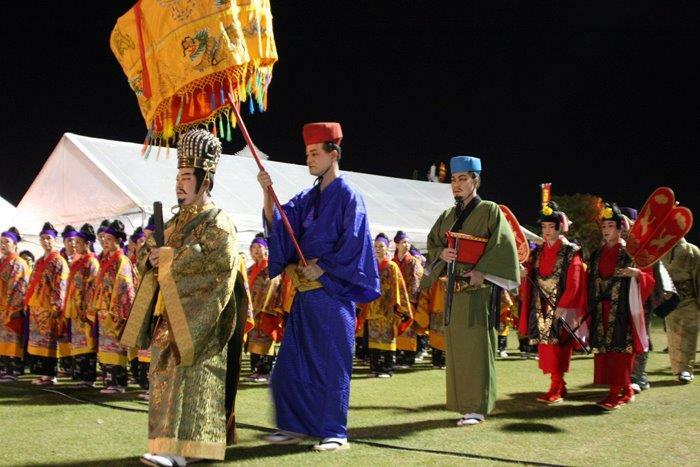 During the performance a cast depicting King Sho-en and his entourage dressed in ancient attire perform traditional dances accompanied with ancient music. The cast consists entirely of local people of Nishihara Town, and most are local students, women’s association members and local youth association groups.